For those who have not tried it, what we have here is basically a thicker version of spinach leaves. 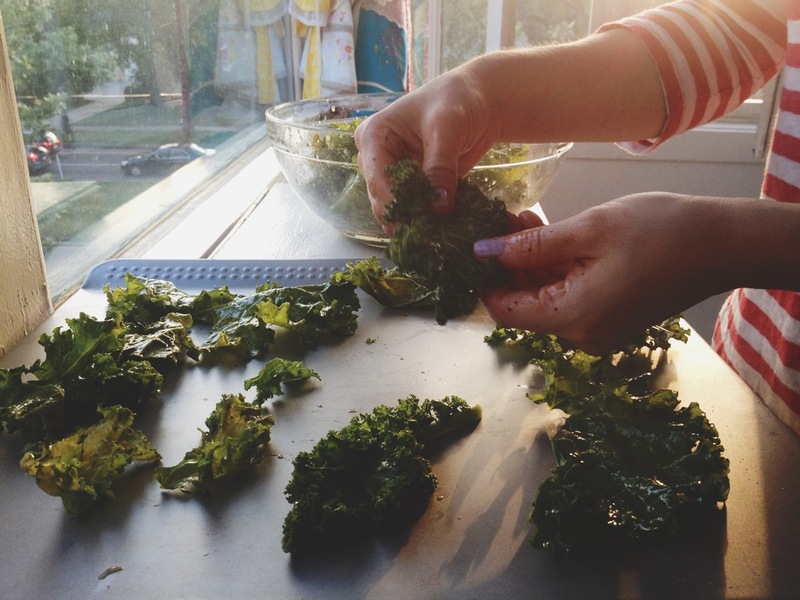 And it tastes a little bit like….grass? Hah, that sounds gross. Nonetheless, I have come to love it, and it’s just packed to the gills with nutrients! 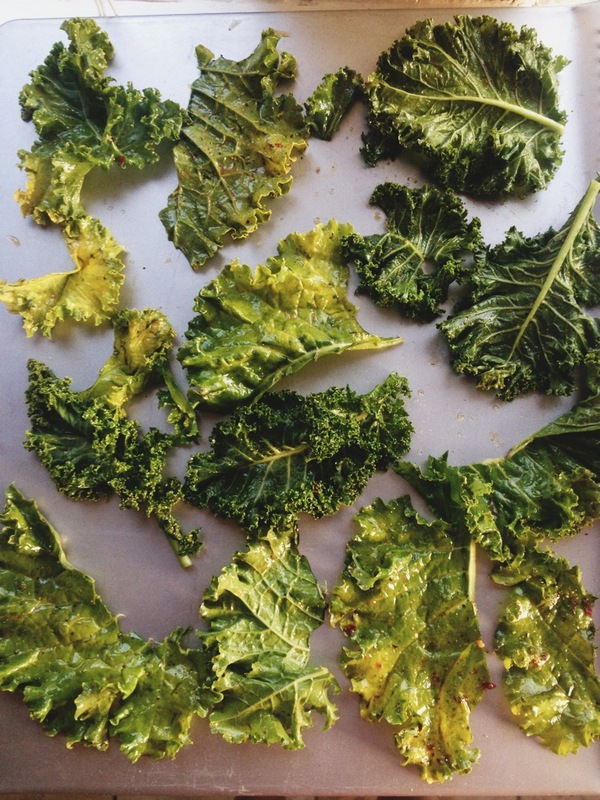 If eating it raw sound unappealing to you, then it’s your lucky day..
KALE CHIPS = party in your mouth. Today, I am going to show you how easy it is to make these little crispy crunchy healthy snacks! 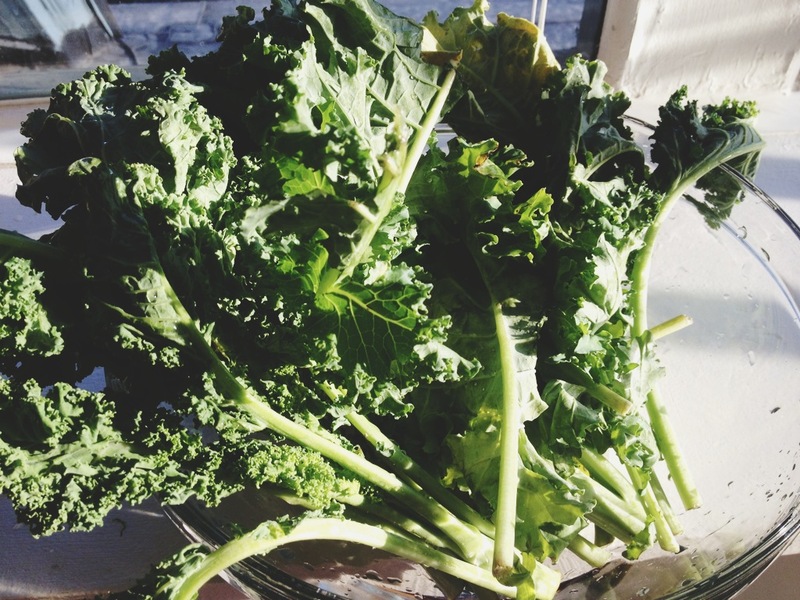 First, wash a couple bundles of kale and try to remove as much of these thicker stems as you can, like rip the leafs off. Big, small…doesn’t matter. We make dem chips of all sizes. 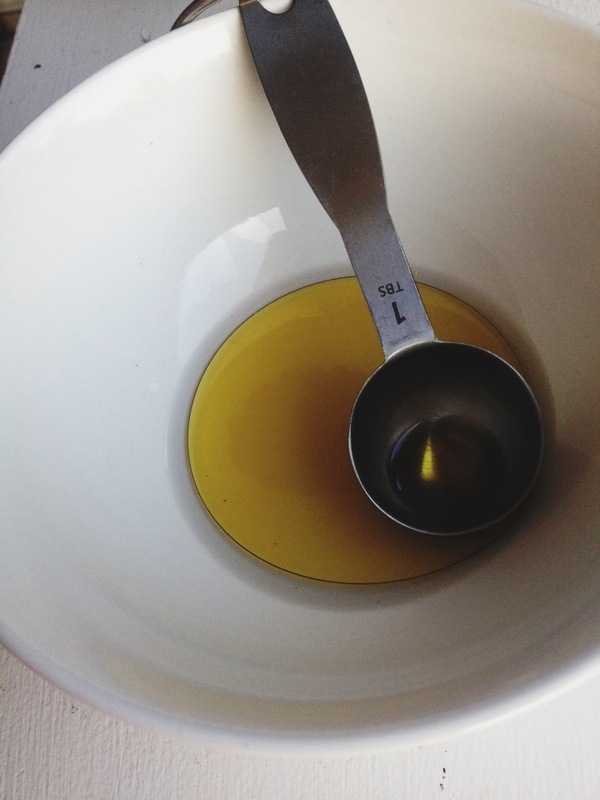 Start with a couple TBSP of olive oil. Add a variety of seasonings that you like. I used garlic powder, chili powder, salt, pepper. But you don’t need much! 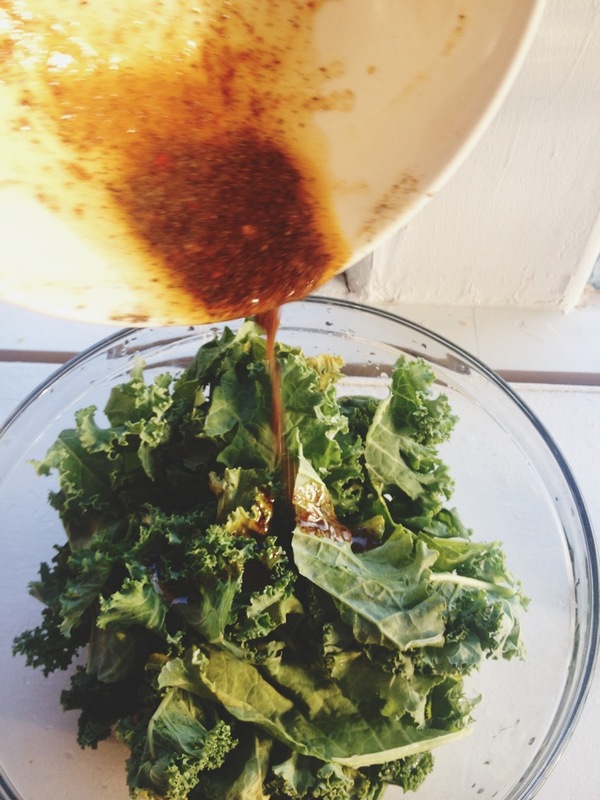 Mix that with the oil, and drizzle it into the bowl of kale leaves. 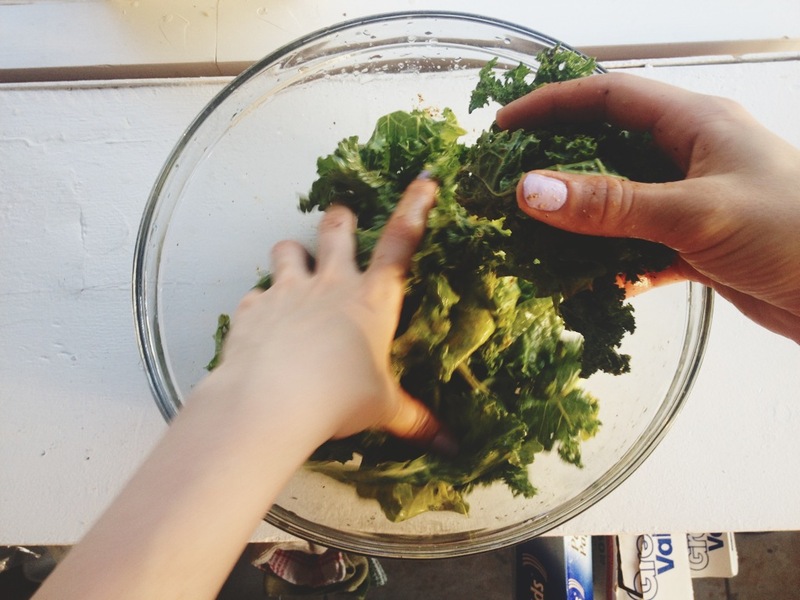 To mix it – ya gotta use your hands! 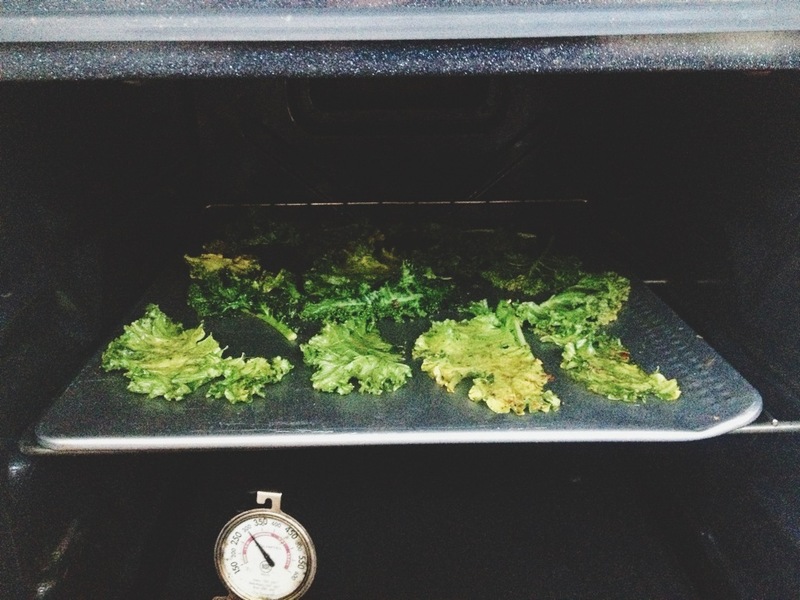 You want to make sure each leaf gets exposed to the oil mixture. Place them on a baking sheet, and try to avoid overlapping them..
Bake at 250 degrees. Start with 10ish minutes on one side, and flip for 10ish minutes more. The goal is to have crispy chips.. so add more increments of 5 minutes until desire is accomplished. This is my tiny oven. Can’t fit a whole lot in here, but it does the job.